Sanding Softback Sponges. Manicure Nail File Drill. 10pcs Teflon Tape. Material: PU Leather and Plastic. 50 Pages Total, Hold 6 cards in a page (double side). Professional style look. LCD Screen Suction Cup. I like the size of this product and it holds a good number of cards for me. I knew 120 cards would probably not be enough. The price was reasonable with free shipping. Three to a page, the jackets the cards fit in are so easy to use because the material does not stick to itself. Pop one open and slide two cards in - one facing each way. It's a good product, but It was not big enough what i needed it for. 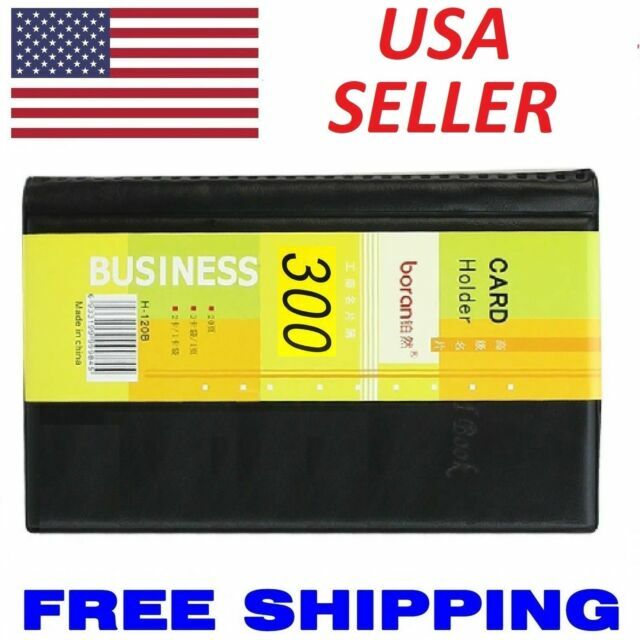 Great for business cards or standard sized credit cards. I got it to put my KPOP photo cards in and they all almost fit some cards were a bit too big. This is a nice, compact business card holder. It is a good value. But, it is not leather. It is vinyl. There is a difference, and I think promoting it as 'leather' is ill advised. I have bought pretty much 7 different ones. I bought 2 one for me and one for my mom. This was a good buy. 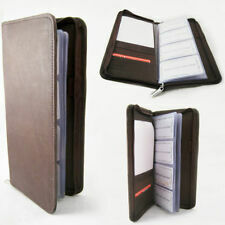 I highly recommend it.. Sturdy and the inside card holders don't rip. It's the best.